Everyone loves a good story, especially when it comes to life! 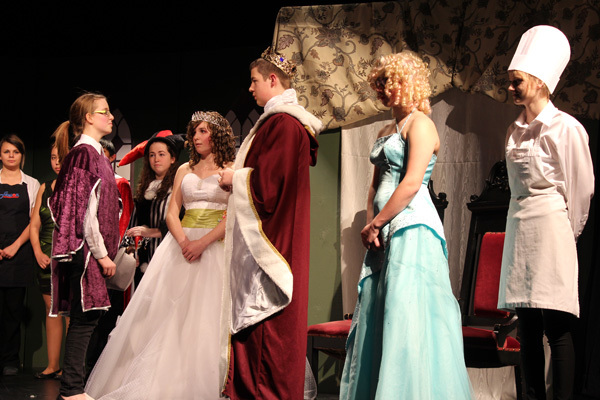 Lucille’s mother tells her the story of “The Princess King” as it unfolds before our eyes on the main stage. Princess Genevieve wants to marry Henry, but he’s just a common cook. Of course, the king thinks this is ridiculous and takes it upon himself to choose who will be the next king and a suitable husband for his daughter. 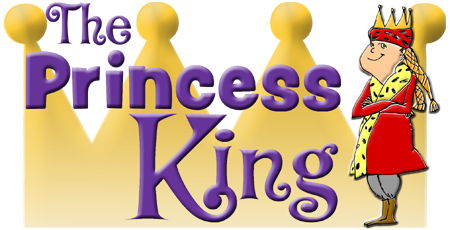 Though the princess begs her father to let her lead the kingdom herself, the king instead decides to hold a contest to find the next king. Princess Genevieve is outraged that she has been reduced to a trophy for her father’s contest, so she and Henry cook up a plot to have Genevieve enter the contest herself. Read more... 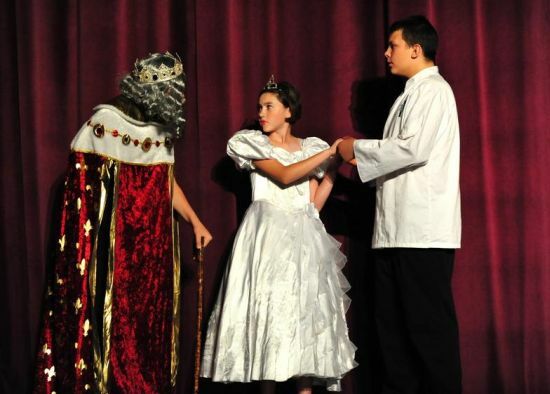 Disguised as a prince, Genevieve is intent on proving to her father that she is worthy to wear the kingdom’s crown. Meanwhile, to cover for her absence, Henry clumsily masquerades as the princess, and Genevieve’s maid tries to cover for the cook! 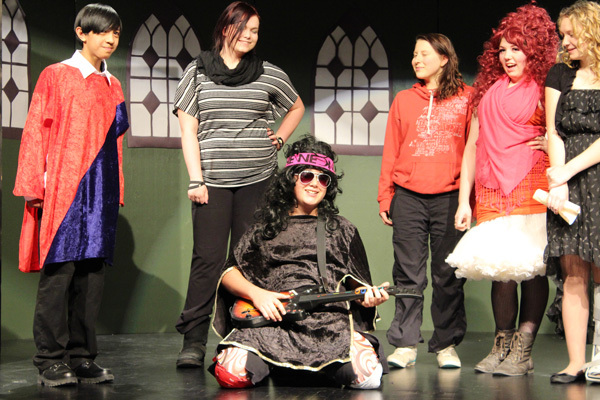 Filled with mistaken identities, tongue-in-cheek humor, and over-the-top characters, your audiences will cheer for the princess as she tries to outsmart Prince Air-Guitar and evil “Prince Fluffy” and battle the great chicken-dragon, with some help from Henry’s delicious lasagna! You will recognize the fantasy characters in this collection of monologs even though the names have been changed to fit the style of a parody presentation. These 60 monologues focus on the magical moments of delights and discovery that make being a kid one of the best things anyone ever does in life.